Who's Stealing All These Goddamn Bees? Cozy mysteries are real: There has been an increase in the number of bee hive thefts in England and Wales, as beekeeping becomes more and more popular. At fault? I’m sorry to say it may very well be shifty beekeepers, turning their beekeeping skills to nefarious purposes. 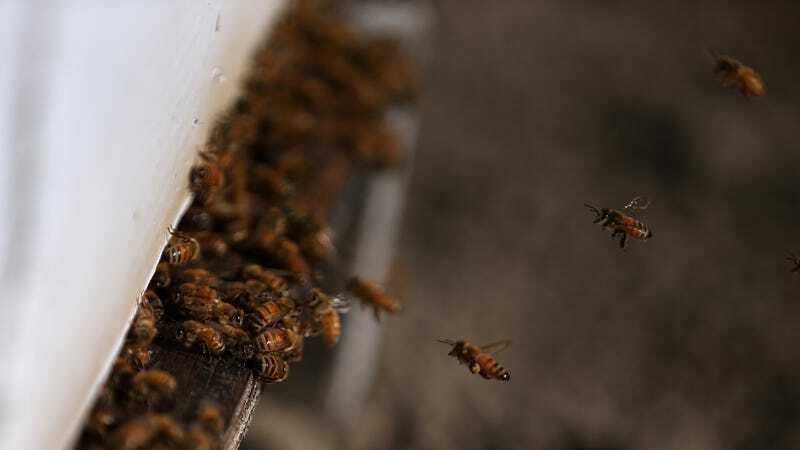 Martin Smith, public affairs manager at the British Beekeepers’ Association, said it is a “sad fact” that most hive thefts are “probably undertaken by beekeepers or at least those with a rudimentary knowledge of the craft”. He said that as beekeeping has grown in popularity in recent years, it has become more visible to the general public. “In addition, more people have decided to come into the craft as complete novices,” he added. Many people do not go on formal courses for beekeeping and are more likely to take up the offer of a hive from a stranger, he said. Historically bees are usually sourced by owners from “trusted sources”, according to the expert. “These two factors have increased awareness of the opportunity for theft and generated a source of customers and will have undoubtedly increased the numbers of thefts,” he concluded. “They were quite cheeky when they did it to us because they took them from in front of my farmhouse,” said the managing director of an education center and honey farm in Anglesey, who probably met whoever did the deed on a tour. Sounds like a case for a rare books librarian, a scruffy vicar, and a large fluffy cat.